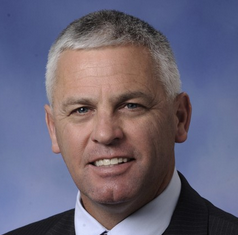 Current senator: The current senator for the 34th District is Sen. Jon Bumstead (R-Newaygo). The district features Muskegon, Newaygo and Oceana counties. Bumstead has his own construction firm, Bumstead Construction, according to his campaign website. Sen. Bumstead served in the Michigan House before being elected to the Michigan Senate in 2018. Bumstead is chairman of the Senate Appropriations Natural Resources and Environmental Quality Subcommittee. A map of the 34th District is available here. Sen. Bumstead raises money through a candidate committee, Friends of Jon Bumstead. He has also been linked to an administrative account, the Bumstead Administrative Account, which doesn't have to dlsclose its donors. He previously raised money through a House candidate committee, Committee to Elect Jon Bumstead.